Please Gift Aid my monthly donations. 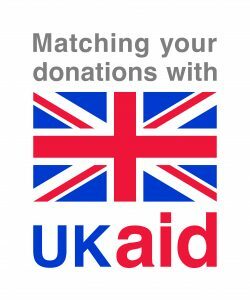 I am a UK taxpayer and understand that if I pay less Income Tax and/or Capital Gains Tax in the current tax year than the amount of Gift Aid claimed on all my monthly donations it is my responsibility to pay any difference. If my circumstances change and I can no longer claim Gift Aid on my monthly donations I will contact Village Water to update my Gift Aid status. Would you like to receive emails about news, fundraising activities and stories from Village Water? What is the reason for the donation? Become a monthly giver now before 26 February and your first 3 months of donations to the Safe Water and Sanitation for All appeal will be doubled by the UK government. Your gift will be used to support our work to improve access to safe water and sanitation for families in rural Zambia and Mozambique. UK government funding will support a new two-year project in Lusaka, Zambia.